While it is understandable that the FDA would want to prevent false or incorrect diagnoses, the agency’s decision has left desperate doctors stranded without a quick way to diagnose patients in the middle of one of the worst flu seasons in many years. The Daily Mail reports that back in January last year, the FDA gave drug manufacturers a year to come up with a design for new kits, warning them that the Osom and QuickVue tests would be permanently pulled from the market on the 12th of January this year. Unfortunately, production of the newer kits has not even come close to keeping up with demand, leaving doctors reliant on an older type of test which takes three days to deliver a result. While the rapid flu tests make use of a nasal swab and only take 10 minutes to make a diagnosis, the older type tests require a blood test. This renders doctors unable to accurately and quickly diagnose their patients, leaving these patients vulnerable to deadly complications like pneumonia and sepsis, while they await their results. While some forward-thinking healthcare professionals stocked up on extra tests before the flu season kicked in, the sheer volume of cases this year has left many more empty-handed. While noting that rapid flu test kits only have a 50 to 70 percent sensitivity rate, the Centers for Disease Control and Prevention (CDC) insists that everyone should rather rush out and get a flu shot as soon as possible. This type of messaging is disingenuous, at best, because what they aren’t telling people is just how inefficient this year’s flu vaccine is. A commentary published in the New England Journal of Medicine this week estimated that current vaccines are only 10% effective against this year’s main flu strain, called H3N2. The authors theorized that this was in part due to this mutation and in part because of a complication with the antibody serums used to make the vaccine fit for people. 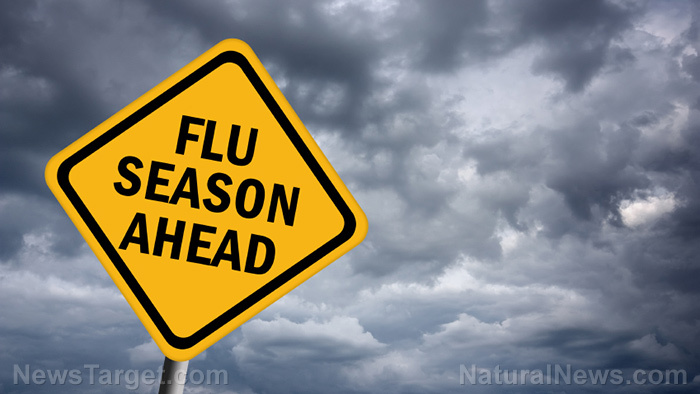 The Washington Post reported in recent days that it is likely that this flu season will turn out to be the worst in close to 10 years, having already sent thousands of patients to the hospital, and leaving 37 children dead. And just when healthcare professionals thought the numbers were starting to taper off and the worst was over, there was a sudden spike in the number of patients admitted to hospital with complications from the disease. The CDC has warned that the number of people being treated for the flu this season has equaled the number of people affected by the 2009 swine flu epidemic. Knowing that this season’s flu strains are particularly dangerous, that you aren’t likely to have access to a rapid detection flu test, and that this year’s vaccine is even more useless than usual, you might be thinking that prevention is better than cure – and you’d be right.